Ergonomics are all about supporting your health while you sit, minimizing risks of neck, back, and shoulder pain. Look for chairs that offer support in all the right places and that are easily adjustable for people of different height. Like any other piece of furniture in your space, your chairs contribute towards the overall design statement of your workplace. And office chairs don’t need to be boring! Look at different materials like cloth, leather, and wood to find statement pieces that support your brand. Always look for the option that gets you the best value for money: one that has the quality you want without going over your budget. The cheapest options you see are usually of poor quality, not offering the right support for the person using it and likely breaking after minimal use. Value-for-money options will last longer, saving you in the long run. Online catalogs are great but it is essential that you see different chairs in person before making your final selection. Everyone has different support needs and preferences, and the only way to be sure – before you spend your entire budget – is to take a seat in them. While you are there, find out about how the chairs adjust and see if it suits you, examine the material for durability, and talk to the sales team about maintenance. Modern office design is all about creating a space that is more welcoming, more inspiring and more productive. So, is art an effective way to achieve this? Here’s what our team of contemporary office furniture specialists have to say. Numerous studies have shown that while modern office chairs, flexible hot-desking and even plant life have become a focus for creating wellness in the office, art is one area that has been largely ignored. According to a study by Leesman, an organization dedicated to evaluating how workplaces support and affect employee and organizational performance, 80% of office workers say they feel apathy or even hate for the current artwork in their workplace. Firstly, art is a great way for businesses to support their local community and build ties with their neighborhood, creating an appreciation and a market for the creative arts. Secondly, Leesman report also showed that 50% of respondents believed art to be a part of an effective workplace, as much as good lighting, comfortable temperatures and ergonomic chairs. Thirdly, research is increasingly showing that there is a direct correlation between art and productivity, where the inclusion of an art collection in the workplace resulted in a 14.3% increase compared to a control group. Lastly, art can be a powerful tool for building your brand, whether it’s a wall of bold graffiti art or a water-feature statue that brings that natural touch to the workplace. It speaks volumes of your brands values and vision. Many employees who spend six or more hours sitting at a desk through their workday suffer from health and comfort issues that can be directly related to their desk chair, especially if they are taller or bigger people. 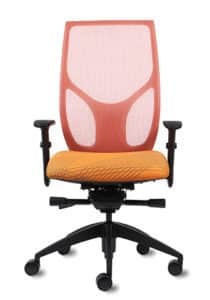 Fixed height chairs make sitting an awkward activity for anyone who isn’t lucky enough to fit into those exact manufacturing specifications, which can result in back, shoulder and neck pain. How do ergonomic chairs work? Ergonomic chairs are simply chairs that can be adjusted to fit almost anyone, and that provide support to your body in the sitting position. With such a simple solution to such a serious problem, there’s no reason why anyone should be working in discomfort. Provide proper support to your posture – Bad posture can be caused or worsened by a poor quality desk chair. 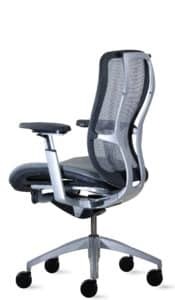 Ergonomic chairs actively support your posture while sitting, helping to correct these issues. Best practice is to sit with your feet flat on the floor, with your knees parallel to your hips at a 90-degree angle to the floor. Increased comfort – This is a direct result of their adjustability, where each person can choose a position that best suits their comfort. Reduced pressure on hips – A softer, more cushioned and supportive base with the correct seat depth is beneficial to hip health, preventing excess pressure on the hips. 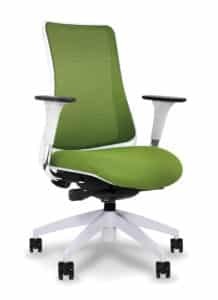 Increased productivity – Ergonomic chairs are more dynamic and easily movable, making it easier for employees to reach, move, swivel and stretch at their desks. Increased comfort and wellness help drive productivity by making desks more enjoyable spaces to work at. 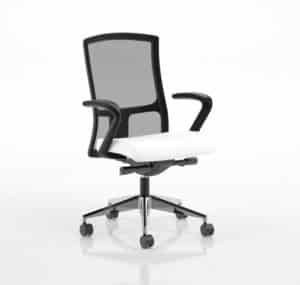 Want to find out more about ergonomic office furniture? BE Furniture is a full-service corporate office design and contemporary office furniture company, offering a wide range of environmentally-sensitive and innovative products and services in line with contemporary office interiors. 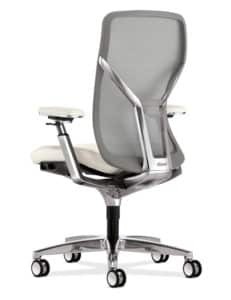 For more information on our modern office chairs and contemporary executive seating solutions, please contact us today or visit our website at https://www.befurniture.com. Your office space is home to your employees for 9 or more hours a day, it’s the first impression clients get of your company and it plays a key role in workflow and productivity. So, could your office benefit from remodeling? Here are some signs to look for. Your business has grown or changed: As your business changes to meet industry challenges or takes on new opportunities for growth, so your office needs to change to effectively meet these demands. You may need to hold meetings with clients where previously you could go to them or meet in another location. You may need more desks to handle the increase in employees and your space is getting cramped. Visible wear-and-tear: Your office space is part of your brand, and out-of-date, worn furniture simply makes your brand and company look shabby. While office furniture and fittings are built to be robust, they face very heavy use and traffic on a daily basis, and chairs, carpeting, desks and soft furnishings can start to show stains, dents, scratches and other damage over the years. Taking care of your office space and presenting a great first impression is about taking care of your brand, your employees and your clients. Outdated technology and fittings: Here, the fact that office fittings and tech are still working isn’t a good enough reason to keep them. Old air conditioning systems are far less effective and energy-efficient than what new systems can offer. Old fluorescent lighting is a source of eye-strain and should ideally be replaced with natural lighting where possible, and with bright but eye-sensitive recessed lighting where it is not. Non-ergonomic desks and chairs: It’s important that your office furniture takes into account the health and comfort of your employees, as this supports productivity, efficiency and wellness. Out-dated desks and chairs can cause chronic back and neck pain, while ergonomic options support employee productivity while demonstrating company commitment to their wellbeing. Lack of imagination: Many office spaces are bland to the point where they say nothing at all about the company that inhibits it. They are also so one-size-fits-all that employees are forced to make the space work for them rather than having a space designed to meet their needs. Practically speaking, modern office design ideas emphasize multi-use areas, private offices for meetings and client calls, creative spaces for brainstorming sessions and comfortable areas for breaks. These elements are designed according to your company needs and brand, becoming effective marketing for your business as well as boosting productivity, employee engagement, and collaboration. At BE Furniture, we assist our clients in achieving an optimal workspace for their business. Whether you are looking to replace old desks with modern office desks or modular office workstation furniture, or want a comprehensive redesign and fitment of your space, our experienced team can handle it all. You may lust after a Herman Miller office chair, but honestly, you’re paying a premium for the brand name. Yes, the Miller chairs are great. Unbelievably, there are modern office chairs that are on par or better. Seating comfort is subjective. Whether you have back issues or prefer certain features to others make a difference in what will feel most comfortable to you. Our experts volunteered to spend some time sitting on their … seats … to come up with a list of comfortable office chairs just for you. In no particular order – because as we said, seating is subjective – here is our list. 1. 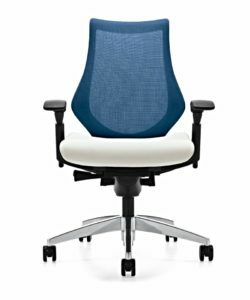 Mimeo by Allsteel is designed for open, multifunctional office workplaces. The design is contemporary with personalized comfort via its unique IntelliForm technology. The scale is perfect for movement into multiple office spaces. 2. 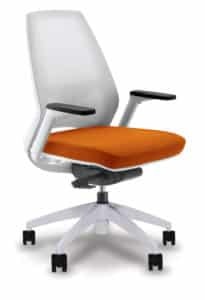 Acuity by Allsteel is the ultimate ergonomic chair. It provides comfort for every body type by adapting to each individual user. With the assistance of Italian designer Bruce Fifield, this chair is both chic and supremely comfortable. 3. Vault by 9 to 5 uses a flowing-mesh design with ergonomic support and sleek lines, perfect for contemporary conference room furniture or other office spaces that require a slim line design. 4. Fire by Paoli is known as the chair that has it all. The gorgeous contemporary design with an included adjustable back (at no additional charge) make this chair not only great-looking and comfortable, but a great value as well. 5. 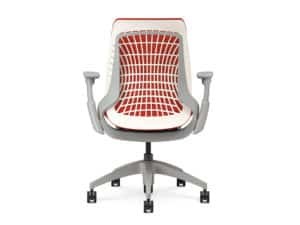 Spree by Global, voted Interior Design’s Best of 2014 Chair, provides natural movement to support your body as you move throughout the work day. Want a chair that adjusts to however you sit? This one’s for you. 6. 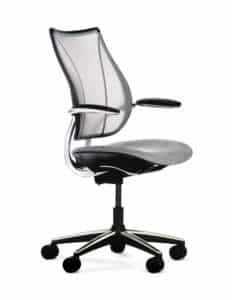 The Vesta 3060 by 9 to 5 has an executive design with fluid lines. The woven-mesh construction on the seat and back is supportive and designed for maximum style and comfort. 7. Clarity by Allsteel is the result of a collaboration with BMW DesignworksUSA. This office chair stands out in appearance with its sleek, minimalistic design. The aesthetics work in any area of the office and provide the user with comfort without any extra bells or whistles. It is simple, sleek and perfect for all locations. 8. Genie by Via has a unique look as well. Not streamlined, but singular in form, the Genie chair has a funky, contemporary aesthetic and offers extra spine and shoulder support. 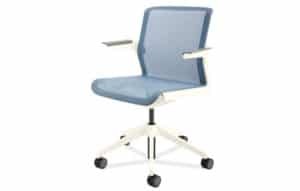 Adjustable for conference room or desk, the advanced controls for swivel tilt or seat slide make this chair ultra-versatile and sophisticated. 9. Liberty by Humanscale has a minimalistic look with custom lumbar support. Humanscale’s intelligently designed Form-Sensing Mesh technology offers optimal comfort and easy recline without the use of a mechanism. This is another successful collaboration between Humanscale and designer Niels Diffrient. 10. The 4U mesh by Via has the combination of Italian design and complete ergonomics for back health and comfort. The easy-to-use controls allow for body balance and tilt with continuous comfort and support. Nobody can tell you which chair is best for you. Honestly, you have to find ones that interest you and go sit in them to figure out which is YOUR No. 1. In other words, you have to use your seat to find your seat.